A series of events had us end up watching The Last Jedi at the Cinépolis movie theatre at Austin Landing, the first time we've been there, and wow, what a great way to watch a movie. 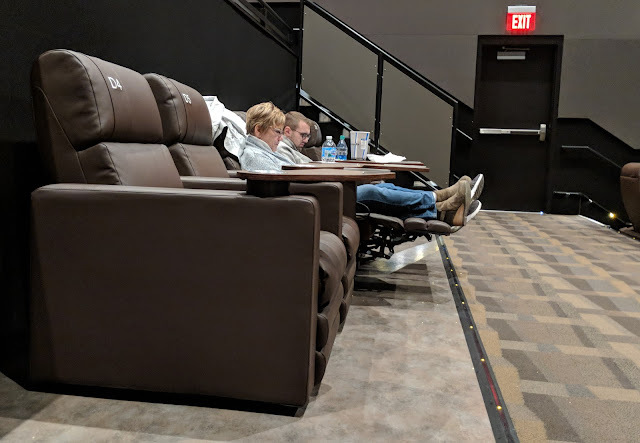 All seats are powered leather recliners and the center seats in row D are the best of the best. At least for The Last Jedi, all seats are assigned, so pick you favorite spot, grab some popcorn and a drink, lean back and enjoy.